Transport issues are critically embedded in everyday life. For this very reason, ways of addressing such issues are almost always hugely politically contentious, as a quick glance at local and national media will testify. Such contentiousness is growing as ever increasing mobility for many in western society has led to a critical examination of the fundamental basis by which transport issues are considered in government and beyond. Despite the strength of this examination, the implementation of new approaches to dealing with transport issues has proved deeply problematic. 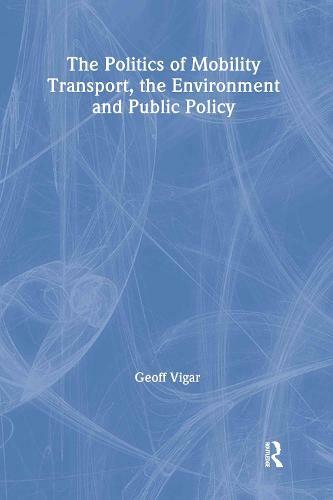 The Politics of Mobility pioneers a methodological and theoretical framework derived from the social and political sciences to shed light on the complexities of dealing with these issues. It mobilises three case studies that highlight the realpolitik of dealing with such concerns for students, practitioners, researchers and activists.